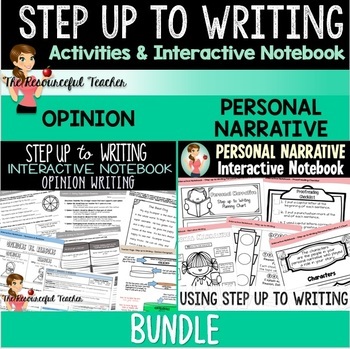 Teach your students the foundational skills of Personal Narrative Writing and Opinion Writing using the Step up to Writing Method with this Interactive Notebook BUNDLE from The Resourceful Teacher. This product is intended to enhance your EXISTING Step up to Writing* tools and curriculum, not to replace it. Now including a BUNDLE BONUS!!! - Get my Writing Posters Set absolutely FREE by downloading this bundle! Have your students practice the skills they learned with the interactive notebook pages by completing the activities and practice pages. - The students will be able to define personal narrative. - The students will be able to analyze elements of personal narrative writing, such as characters, setting, and plot. - The students will be able to analyze the Step up to Writing method in personal narrative writing. - The students will be able to categorize Step up to Writing Transition words in personal narrative writing. - The students will be able to analyze elements of personal narrative writing, such as beginning, middle, and end. - The students will be able to recognize and recall the 5 stages of the writing process: Plan, Draft, Revise, Proofread, and Publish. - The students will be able to differentiate between opinions and reasons. 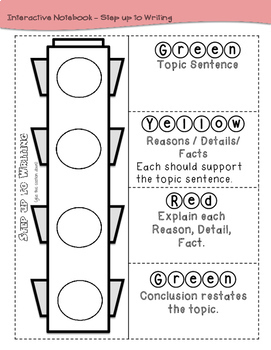 - The students will be able to categorize sentences as opinions or reasons. - The students will be able to match reasons that support opinions. - The students will be able to generate reasons to support opinions. - The students will be able to generate opinions for given reasons. - The students will be able to analyze an opinion paragraph. - The students will be able to identify the topic, supporting details, explanations, and conclusion of an opinion paragraph. - The students will be able to write opinions. - The students will be able to give reasons to support opinions. - The students will be able to explain reasons. - The students will be able to write conclusions for persuasive writing. Also includes teacher pages and answer keys! Can also be used for reteaching / reengaging and extra practice. Download the preview to check it out! 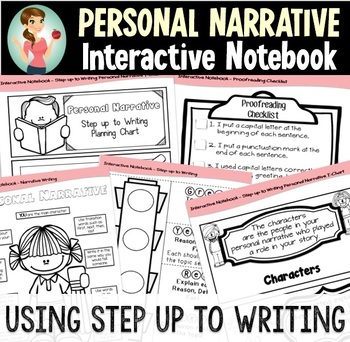 Want the Personal Narrative Interactive Notebook Pages only? 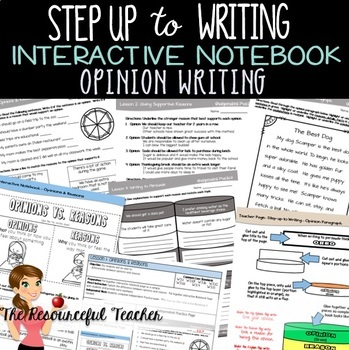 Want the Opinion / Persuasive Interactive Notebook Pages only?